The attached photo is of a home in the DC area. A real beauty and eye-catcher I might say! Here you can see a high seamed roof (the seams are 1-3/4″ – 2″). For this style home note that the roof color matches the shutters and truly defines the beauty. The higher seams for this home may have been used to keep the historicity of the home, but seams can be lower in height. 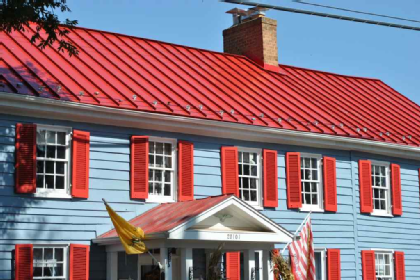 G&M can provide homeowners with roofs like this to accent your home. Of course, the products have to comply if there is a homeowner association. 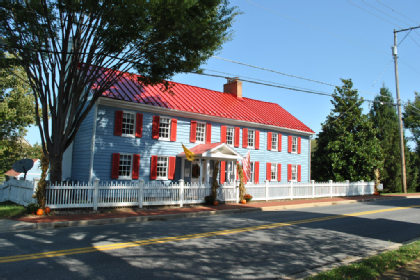 That is the nice thing about living in towns like Arlington, Vienna, Falls Church–no HOA.